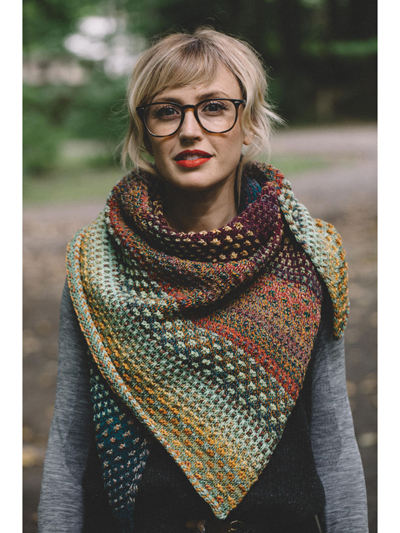 This super-fun shawl has a large canvas for color play! 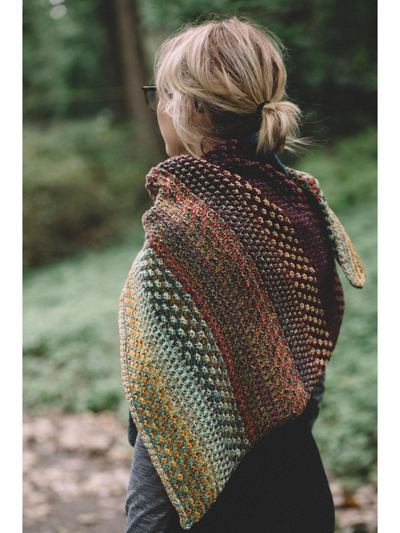 This pattern includes a recipe to make it all your own, and row-by-row directions for those who want to play it safe! 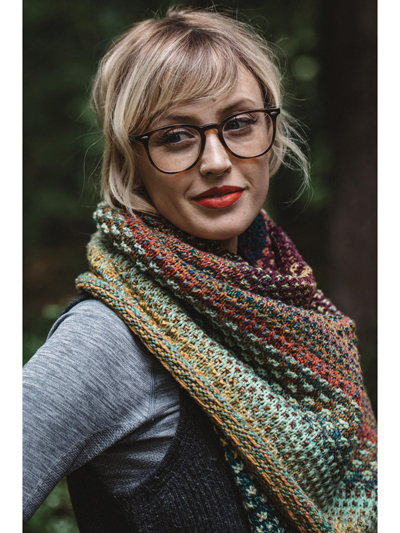 Knit with 6 colors of worsted-weight yarn using U.S. size 8/5mm needles. Finished size: 65" wingspan x 31" center depth. 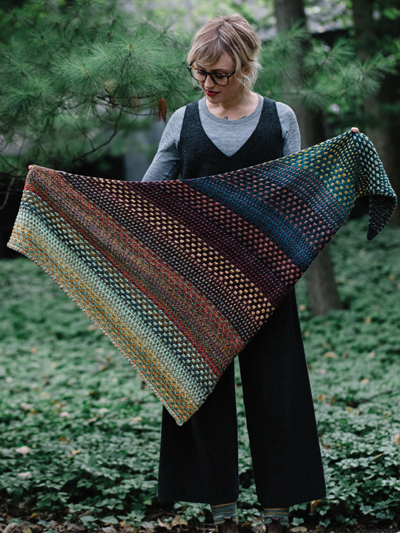 I haven't started the Nightshift shawl yet, but perused the pattern and love it so far. The pattern is easy to read.